The jacket was given to Dana by her grandfather. Later, her grandfather sadly passed away, and she wanted to have something special made from the jacket that she could wear to the memorial service. As you can imagine, this piece had quite a bit of sentimental value. She wanted a piece that she would wear regularly so she could continue to carry the memories of her grandfather with her. 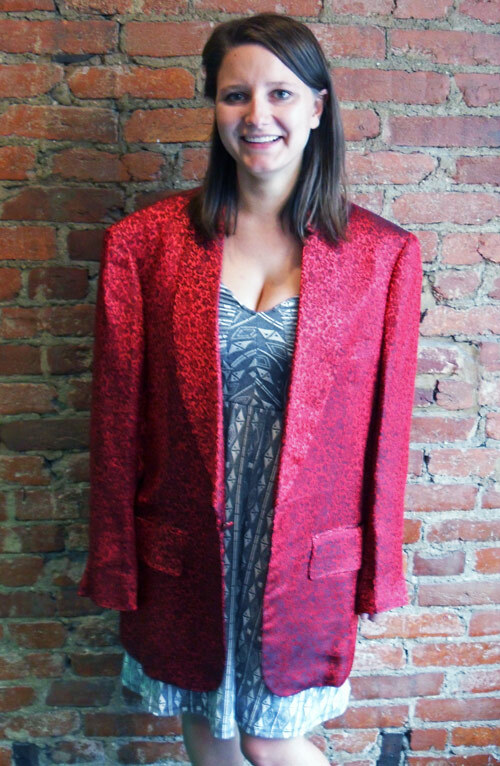 Here is before picture of the coat, and scroll down to see how Dana and I decided to redesign it! At first I wanted to get a sense of what style Dana liked, and what garments she normally liked to wear. With pieces that have more sentimental meaning, I really want to make sure they can be worn more than once. 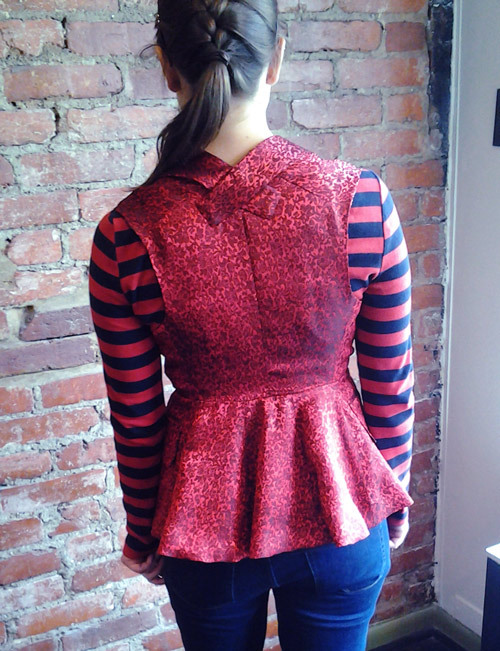 We settled on creating a vest: one that was super tailored at the waist to compliment her figure and that flared out into a peplum style–so it was fun and feminine. 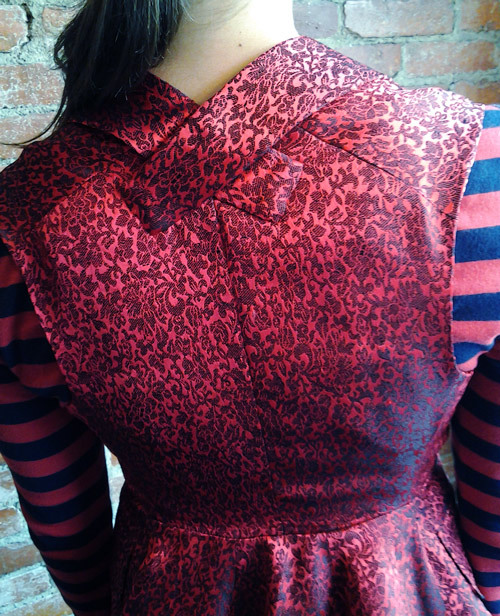 We cut off the sleeves, raised the collar up so the button hit her true waist (check out the back detail a few pics below of what we did with the extra collar length behind the neck! ), cut the coat in half to create a waist seam for that extra-tailored fit, adjusted the bust darts, shortened the pockets so they were still functional, and cut apart the old sleeves to create vest “skirt” in back. This project was a lot of work, but so much fun to do! 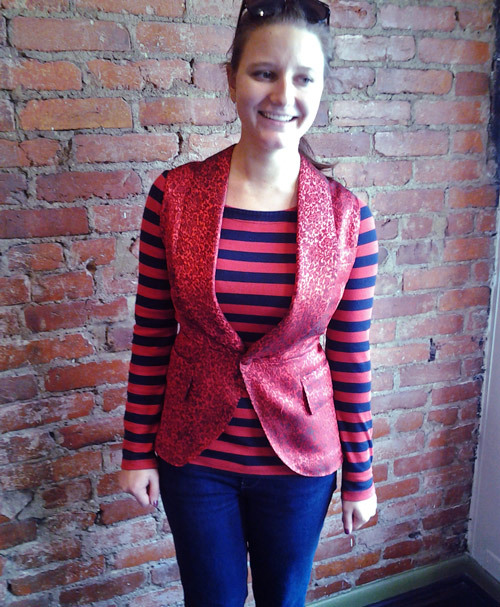 Take a look at Dana’s new vest! Want to recycle one of your family hand-me-downs? 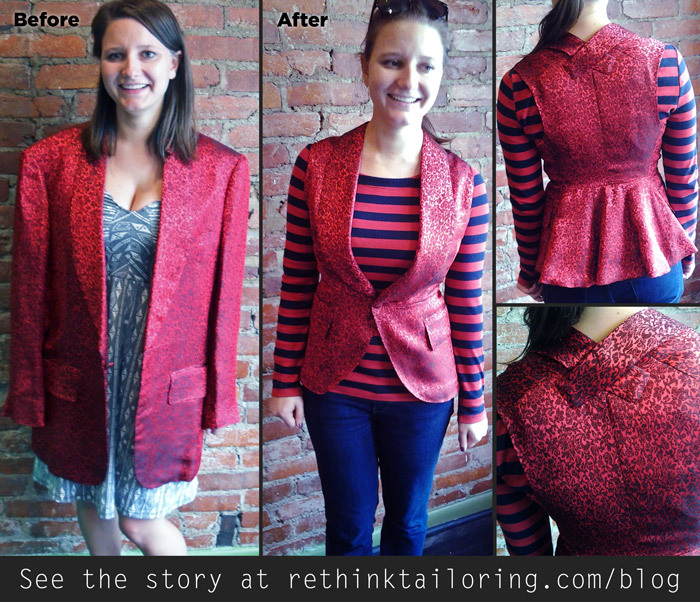 Email me at kristen@rethinktailoring.com to tell me about your project!